Board index ‹ Open Discussion ‹ Scoots for sale!! If you have a bike, or some parts, or chrome, you want to sell or trade do it here! Location: Clermont Fl. & Andrews, NC. Hello All. 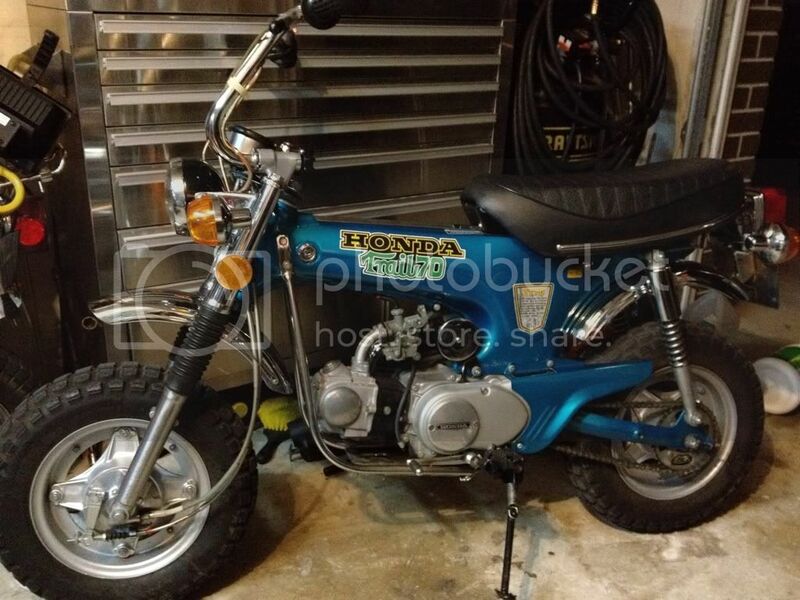 I want to find a 60 to 70`s Honda Trail 70. Got to be in good ride able condition. Prefer it to be here in FL. If ya know of one. Live Life to its Fullest! It's way to short not too!! BTW, Happy Birthday to anyone having one today.. Here are a few in Florida. Thanks x-90 rider, but those both are clones! I want a really Honda. Did you go down the page and check out all of the links? There are about 15 bikes listed. x-90 rider wrote: Did you go down the page and check out all of the links? There are about 15 bikes listed. Thanks Blaz...shipping is over 400 from there to here. I do like the blue one though. Normally there are a lot of CT70s for sale at the AMCA meets. Found and bought one last night. 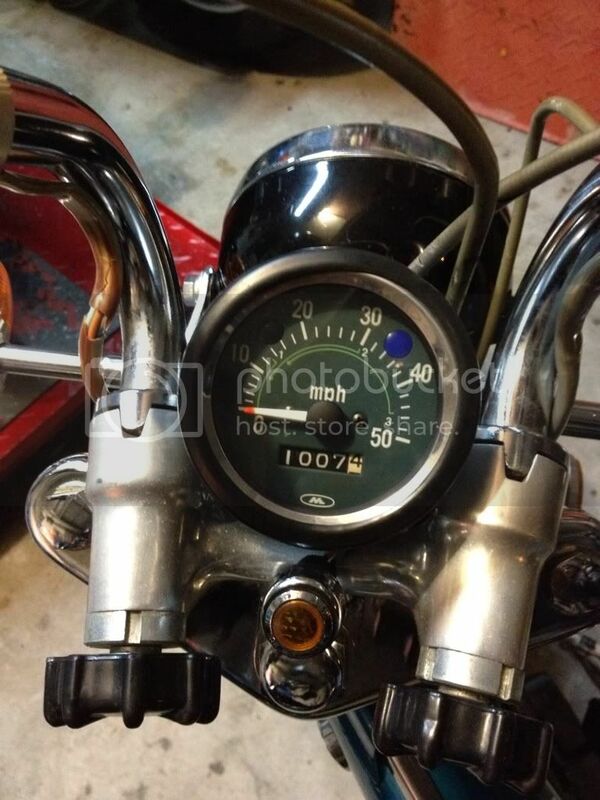 A 74 blue one with 1007 original miles on it in mint condition. Picking it up tonight or Sunday. Clean title, second owner, has original key, new battery and air filter too. Nice find, looks like it is in good shape. x-90 rider wrote: Nice find, looks like it is in good shape. Thanks for everyone's help with this. Yes I'm hoping it is what they say it is too. Return to Scoots for sale!! Jump to: Select a forum ------------------ Good morning Bikers... Off Topic Discussion The Body Shop... Open Discussion RIP To Fallen Bikers, and friends. Laconia Bike Week Welcome New Members Upcoming Rides, and events “Let’s Ride” Scoots for sale!! Net. Garage Shop Talk. LaconiaBikeWeek.net Meets LBW Photo Section.... Biker Poets Corner by K. Peddlar Bridges "Laconia Will Tell"